This gel formula foundation with a treatment serum contains 3 super-fruits: lychee, goji and pomegranate. It promises 16 hours radiance boost and instant anti-fatigue result! The vitamin-gorged and anti-oxidising super-fruits erase signs of fatigue, even out the complexion and revive its radiance: (69% more radiance after 4 weeks of use apparently)! Its instant melting effect and semi-matt finish blend in with the skin’s colouring, evening out skin tone and erasing blemishes. I’ve just realised where I’ve been going wrong, two words – semi matte! Because it claims to hydrate and boost radiance I ASSUMED this foundation would give a dewy glow... it doesn’t. That’s not to say it’s not a nice foundation, because it is, but after a few weeks of using it, I’ve decided it’s just not my cuppa tea. It has a relatively thin consistency and applies with ease, allowing for a quick application with fingers or brush. I tend to use fingers then blend it out with a duo fibre brush. It feels lightweight and comfortable on the skin and does feels quite hydrating when applied BUT I feel like my skin almost absorbs it. Even though it’s a light to medium coverage foundation it works well to even out the complexion and cover minor blemishes and discolourations. The finish is very natural, almost like you’re not wearing foundation at all but I feel like I’m missing the luminosity and glow I get from the likes of MAC’s Mineralize or L’oreal Lumi Magique. It lasts well and keeps my skin hydrated throughout the day. I can’t say I’ve noticed an improvement in the skin, but it contains serum so it’s got to be better for you than those that don’t! Overall, it’s a nice, lightweight foundation with a low to medium coverage and a semi-matte finish. 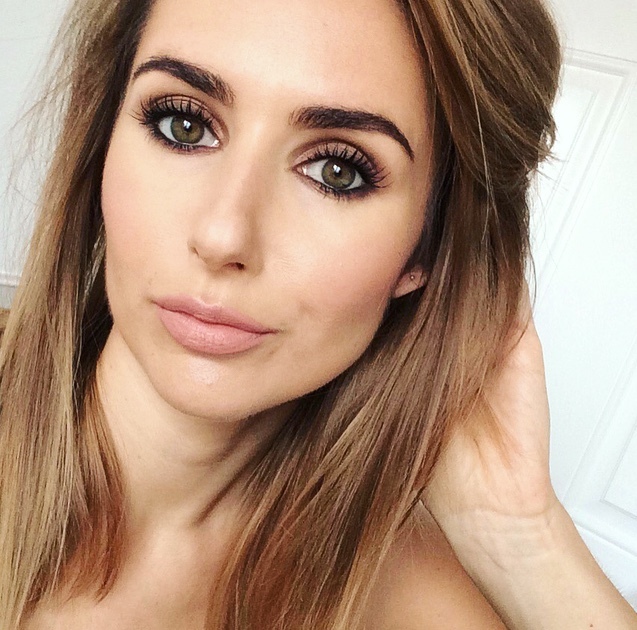 Perfect for a no fuss, natural look! Thanks for the honest review! I have thought about trying this in the past, but now I know it would be too light for me! They used to do a foundation version as well as the gel serum version that was a bit thicker though, I think.. I've only tries the other healthy mix foundation but didnt like that either! Aww shame it didn't work out for you. I was planning to try this, cos I love the original Healthy Mix! By my opinion, the original Healthy mix is working good for normal to dry skin, but this one is made for mixed or oily skin, so that's why semi matte finish. I prefer original version for my dry skin. Did you try Revlon PhotoReady foundation? I liked the luminosity that Healthy mix serum gave to me but now I have to try L`Oreal Lumi Magique if you are saying it gives a lot of luminosity :).